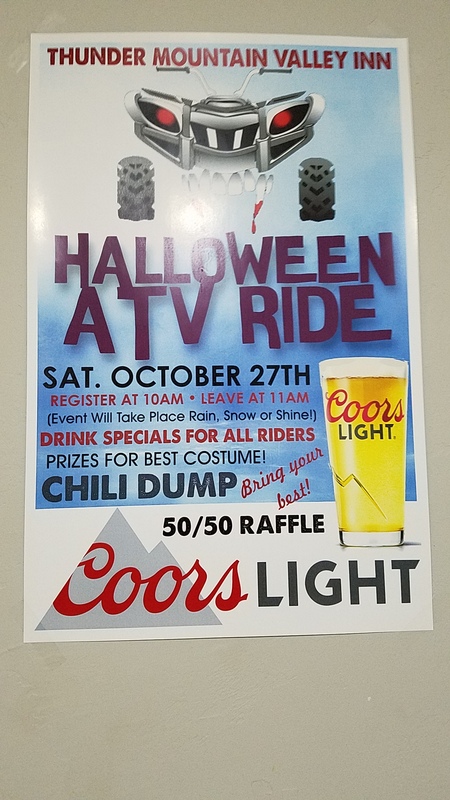 FUNDRAISER: Our 6th Annual Hidden Bear Trail ATV Club Fundraiser will be on Saturday August 18th, 2018 at Animal’s Bear Trail Inn on the corner of Hwy 64 and Hwy T Mountain WI from Noon to 6:00 pm. We will have food, refreshments, meat raffle, 50-50 raffles, gun raffle, packer autographed football raffle and our large cash raffle drawing will be 6:00 pm. Please feel free to bring friends and families, members or non-members. This event is open to the public. 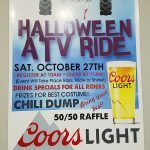 All money raised from this event will go back into opening new ATV Trails and maintaining the current ATV Trails. At 11:00 am we will have our 2nd membership meeting at the same location. We will be setting up for the event starting at 9:00 am on Saturday, if you can help, please be there at 9:00 am. Hope to see you all there!!!! HELP: Our club purchased 2 new tents and we need some help on Friday August 17th to set these 2 tents up and one other large tent. We will start at 2:00 pm on Friday to set up these tents, meeting at Animal’s Bear Trail Inn. Any help will be appreciated!!! Thanks.